When planning a trip to Uttarakhand, the likes of Dehradun, Nanital, Rishikesh, and Haridwar top the list. But, the state is also home to a plethora of picturesque and serene villages that are perfect for escaping from the hustle and bustle of the modern world and getting close to nature. Here’s our pick of some of the most beautiful. 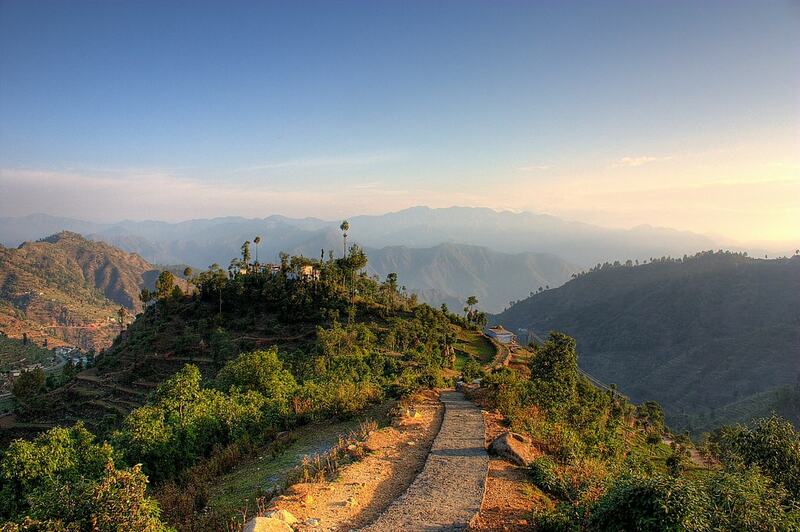 Kausani is a picturesque village nestled on a hillside amid dense pine forests and lofty snow-covered mountains. 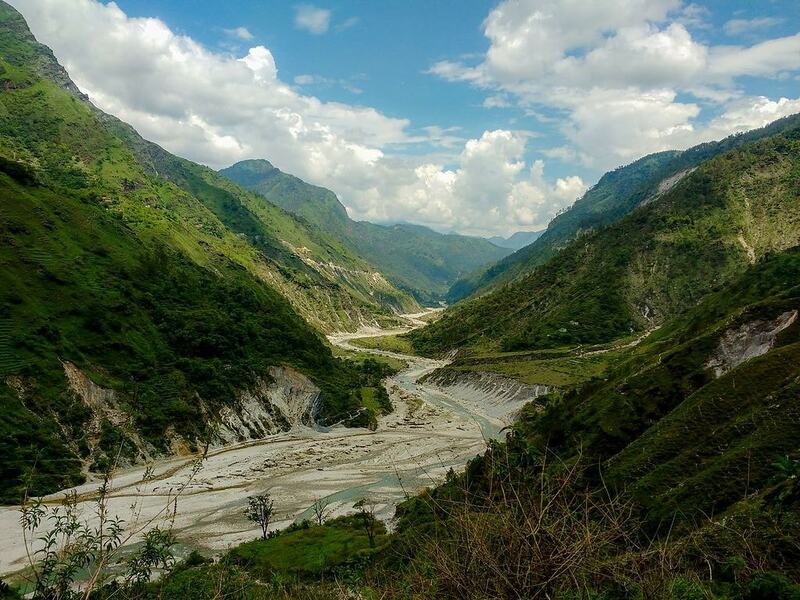 Untouched by commercialization, the village is a nature lover’s delight with its pristine natural beauty and 300-kilometer-wide unbeatable vistas of Himalayan peaks—Trisul, Panchchuli, and Nanda Devi. Make sure to visit the Anasakti Ashram, otherwise known as Gandhi Ashram that will transcend you into the state of peace with their yoga sessions and prayers. Also, plenty of trekking trails surround the village, so more adventurous travelers can embark on a trekking expedition. For a secluded retreat and the best panorama, stay at the Kumaon Mandal Vikas Nigam (KMVN) resthouse in the village. Situated a few miles from the border of India and Tibet, Mana is India’s last village. Set on the banks of River Saraswati, Mana’s shores have mythological significance, as it is said Pandavas had to cross this village for their journey to heaven. Also, there is a small cave in the village, Vyas Gufa, where it is believed that sage Ved Vyas lived and composed the epic poem Mahabharata. Surrounded by hot springs, natural bridges, lofty mountains, and waterfalls, Mana’s natural scenery is quite impressive. The houses here are stone cottages stacked on hills, exuding an authentic character. The village is just two miles from Badrinath Dham, the famous pilgrimage site in India, so it is a great home base to stay at to trek to the site. Avoid winter months as the entire village is covered in snow. Set at an elevation of 2,200 meters in the Pithoragarh district, Munsiyari is surrounded by Panchchuli peaks (five snow-capped mountains), rendering it a picturesque quality. The village serves as a base for three famous glaciers—Ralam, Milam, and Namik, so visitors wanting an adrenaline rush can go trekking to these glaciers and will be rewarded with breathtakingly beautiful views of the mountain peaks. Those who simply want to relax can take a leisurely walk around the village and soak up its raw beauty. For stay options, there are a few cozy guesthouses and hotels. A short trip outside the Munsiyari will put you amid the stunning scenery of the surrounding villages of Darkot and Sarmoli. Standing at 780 meters above sea level at the intersection of the Tons and Yamuna River, Kalsi is a quaint village that is largely undiscovered by tourists. It’s easy to spend a weekend here angling in the Tons River, cycling on its winded roads dotted with sal and oak trees, or relaxing by the riverside, while being surrounded by peace and quiet. Do not leave without seeing the Ashoka Pillar Rock Edict, which is the prime attraction of the village. A postcard-perfect village accessible only by trekking, Kalap is situated 2,286 meters in the upper Garhwal area of northern Uttarakhand. The approach to Kalap is an enjoyable yet thrilling experience—it requires a four-hour trek from Netwar (a tiny hamlet near Dehradun) that takes you through grasslands and jungles. The trek is a bit challenging and unmarked so it is highly recommended to have a guide on the trail. There are several other treks around the village offering spectacular views of the snow-covered mountains and forests alive with wild lavender, deodar, and pine. If trekking is not your thing, you can stroll along the village streets and admire its unique Garhwali architecture, engage in organic farming, and meet local folks and listen to their stories. Do not forget to sample the rich Garhwali cuisine. Homestay options are on offer for visitors in the traditional wooden houses of the village. For a trip to Kalap, you can book Kalap Tours that covers everything from sightseeing to accommodation and food. A favorite spot among nature lovers and bird-watchers, Pangot is located approximately eight miles from Nanital. This tiny village offers some incredible scenery brimming with pine, oak, and rhododendron forests, and beautiful streams, which add to its appeal. Also, the village is home to more than 580 species of birds, including Himalayan birds, like the Himalayan griffon, rufous-bellied woodpecker, lammergeier, khalij pheasant, and blue-winged minla, to name a few. 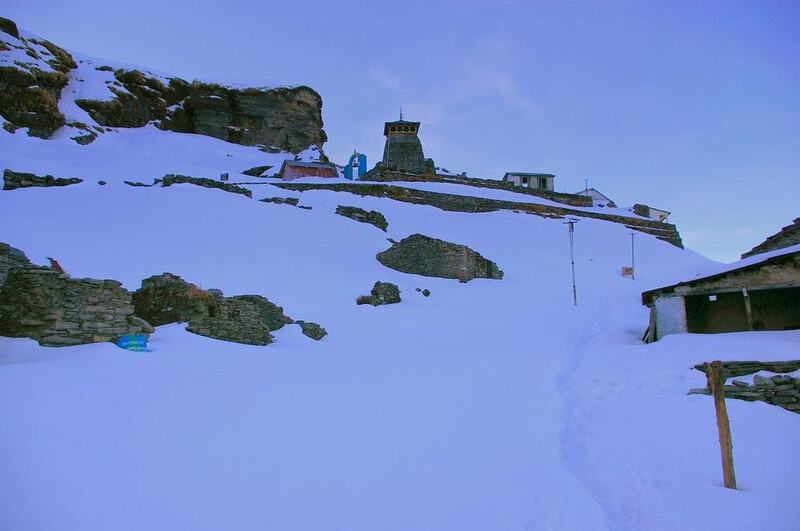 Nestled in the lap of the Himalayas at an elevation of 2,680 meters, Chopta is a scenic village surrounded by mountains and plush forests. Plenty of treks cut through the forests of deodar, pine, and rhododendron, where a myriad of birds, flora, and fauna as well as the stunning views of the mountains make trekking exploration a delight. 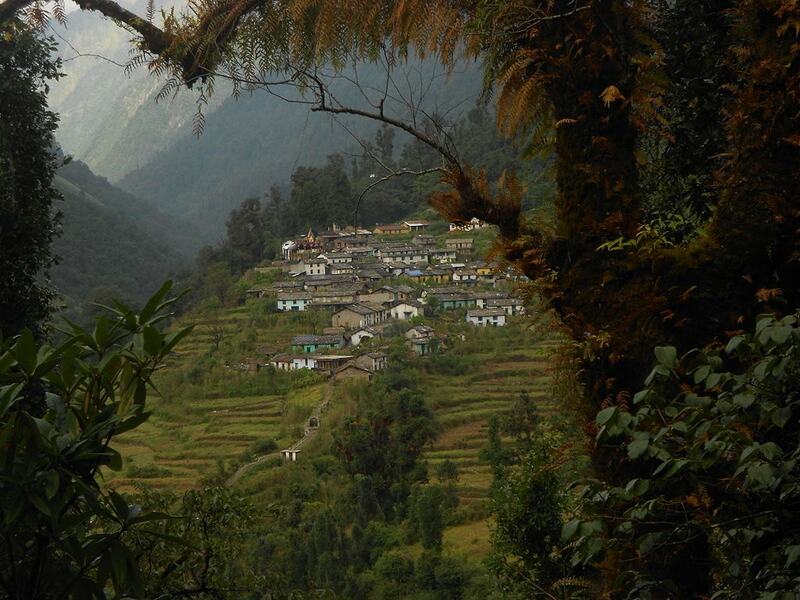 Devariyatal, Chandrashilla, and Tunganath are the popular trekking trails in the area. If you’re a snow lover, visit in winter months (December-February), as the village is covered in snow, which makes it a perfect destination for snow skiing and snow trekking. With Nanda Kot, Nanda Devi, and Panchchuli peaks looming right behind in all its glory, the Chaukori is a paradise for nature lovers with its stunning views, fruit orchards, and beautiful tea gardens. The village is home to a few temples that are worth visiting. There are a few resorts and rest houses to accommodate visitors. Perched at an elevation of 1,700 meters in the Pauri Garhwal district, Khirsu is another tiny mountain village set amid the dense forests and apple orchards. 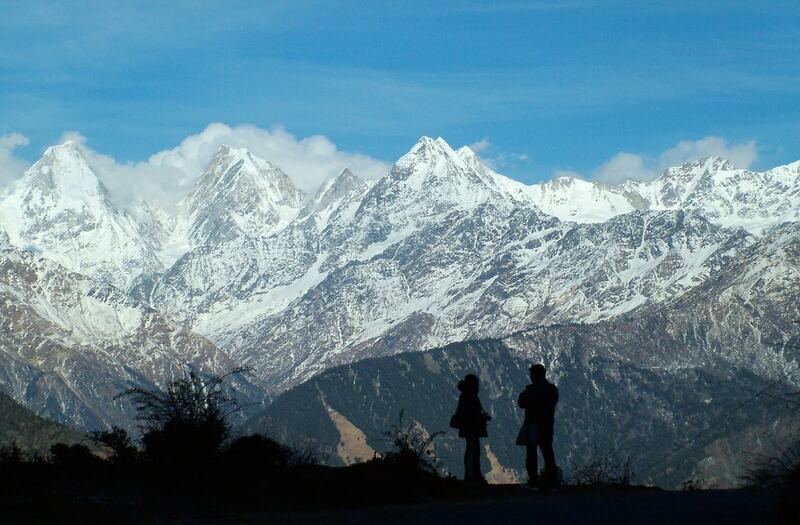 The village offers spectacular vistas of the Himalayan ranges. The beautiful landscape, utter isolation, and the tranquil ambience of the place is a good enough reason to visit. 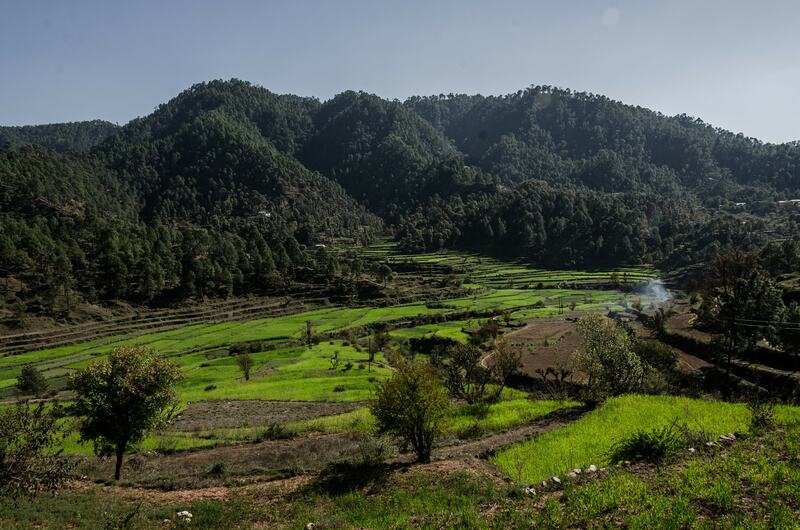 Nestled on the Pindari Glacier trek in the Kumaon region, Khati village is the last inhabited village on this trek. The trek starts from Kharkiya, and passes through lush forests and mountains. If you’re craving some peace and quiet and want to be one with nature, Khati gives you just that. The village has stone houses, which add to its charm. Situated on Chamba-Mussoorie road, Kanatal is a picturesque village set amid the snow-covered hills, pine forests, and wildflowers. There is plenty to do and see here. You can visit the famous religious and natural spots of the area—Surkunda Devi temple and Tehri dam—go for nature walks or a jungle safari in the Kodai Jungle, or indulge in other outdoor activities, like camping, valley crossing, rock climbing, rappelling, and trekking. To treat yourself and experience the local lifestyle, opt for homestays, which are mud houses. It is a perfect spot for those looking for an active holiday!